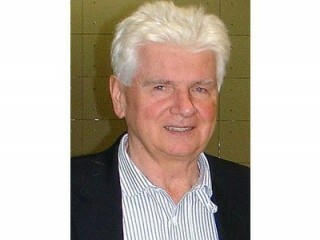 Günter Blobel is a German American biologist. As a child, Günter Blobel and his family narrowly escaped the bombing of Dresden, watching the destruction from about forty miles away. As a young adult in communist East Germany, he was prohibited from attending college, due to family's classification as "capitalist class". Crossing the pre-Berlin Wall border, he studied in West Germany and made his career in the United States. For his research into the inner workings of the cell, showing that the movement and position of proteins in the cell are governed by specific signals, he was awarded the Nobel Prize in Medicine in 1999. His work has had great impact on the study of hereditary diseases as cystic fibrosis. He was one of the founders of Friends of Dresden, a charity that reconstructed the Frauenkirche (Church of Our Lady), and is now working to construct a new synagogue in the city he saw ruined as a boy. He donated his Nobel Prize cash stipend, about $960,000, to this cause. His wife, Laura Maioglio, owns Barbetta, an ultra-highbrow Italian eatery, and the oldest family-owned restaurant in New York City, founded in 1906 by her father. Promotional materials for products made by Mannatech, a multi-level marketing company that sells dietary supplements, have claimed that Blobel's work provides "scientific validation" of glycobiology, a science that deals with sugar molecules. Blobel's research has virtually nothing to do with such topics, and he filed a legal complaint against the company with the New York Attorney General's office in 2006. View the full website biography of Gunter Blobel.